It may seem counter-intuitive to many, but designing digital experiences, for the web, iPhone and Android apps, doesn't necessarily begin with computer software. In my experience as a UX Designer, the really great designs are unlocked through a massive amount of exploration and communication. Sketching with pen and pencil is a remarkably effective way to explore and investigate a whole range of possible ideas and interfaces without jumping too quickly to a conventional framework. 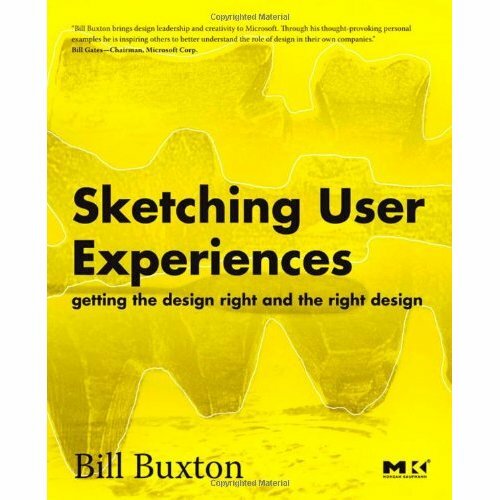 For more on this approach, I would also recommend Bill Buxton's Sketching User Experiences as a important book to read. So with that in mind, here are some great tools that I personally use in my design practice. I hope the list helps you. There are a couple of things that make for a good mechanical pencil in my opinion. First is shaft thickness and texture. If it is too thin or smooth it is difficult to twirl it as you draw the lead across the paper to get that easy even line that appears almost printed. 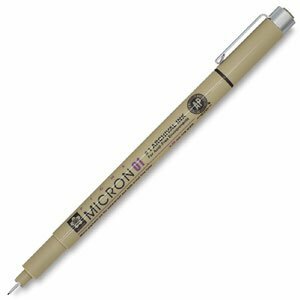 An even higher tech solution is the Uni-ball Kuru Toga High Grade Auto Lead Rotation Mechanical Pencil. An important step for me is to take the rough and provisional sketch and make it a little more clear and articulate. The point is after all making it solid enough that people can begin to make meaningful decisions about the design ideas in them. 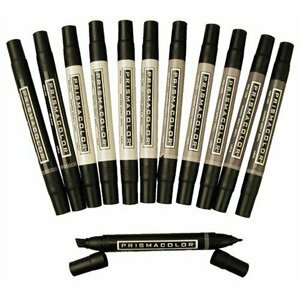 So using the varying gauges of this six-pack of assorted sizes Sakura Pigma Micron Pen Set lets me turn a sketchy idea into a stylish and clear drawing to show clients, bosses, Creative Directors. One of the trickiest things about trying to design (and sketch) users' experiences is that the experiences aren't just made up of an interface and visual designs, but a series of system behaviors, represented in visual elements changing in response to user actions. So, just drawing a page layout is never enough. Storyboards are one of the many ways I work to articulate a system and its behavior and expression in visual designs. Often the ideas of these complex interactions happen when I am not in front of a computer or drafting table. That's where the Large Moleskin Storyboard Notebook comes in. It is always in my bag. It is essential. A trick to rapidly and effectively bring these sketches to life is to create an implicit visual hierarchy and language using tone and shade to communicate meaningful differences and depth. I'd tried hatching my drawing and that worked okay. But then I broke out the Prismacolor Warm Gray set, with varying opacities of gray. Yeah, love these. Do I really need to say anything about this über-geekiness? Yeah, I have and wear a UX~UI T-shirt. In addition to creating and curating 5thingsilearnedtoday.com, I am a user experience designer. You can find my portfolio here. I've made lots of mistakes along the way, but am proud to say that my curiosity has helped me make the most of those mistakes. You can find me on Facebook or even like my other facebook page (The User's Experience) or tweet at me @rtsnance.